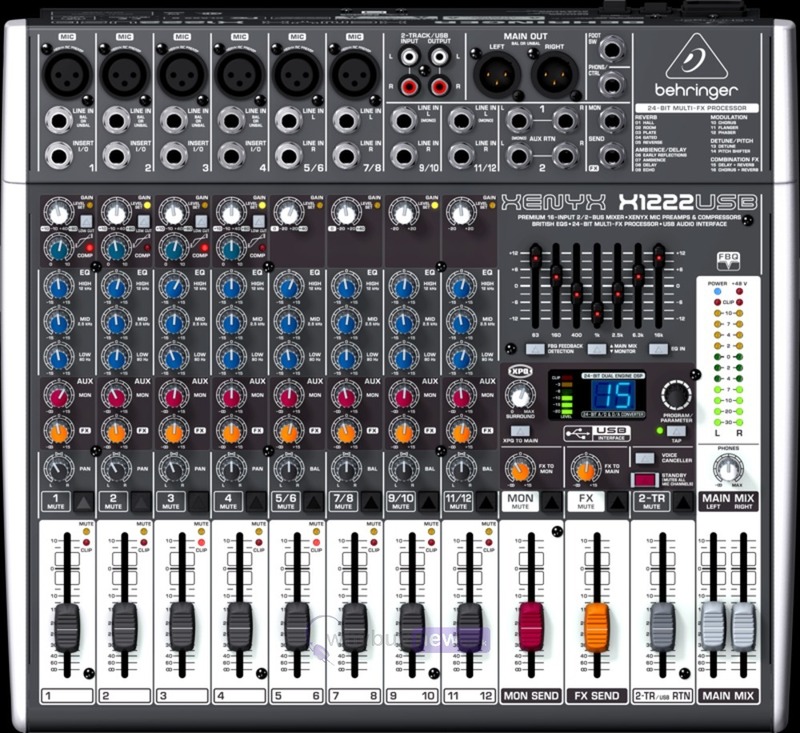 The Behringer Xenyx X1222 is a compact USB 16 input audio mixer which features 4 Xenyx Mic Preamps and a built-in stereo USB audio interface that you can connect straight to your computer or laptop. The Behringer X1222USB has a lot to offer in terms of sound quality and features for its modest price - built-in FX, Compressors, FBQ (feedback detection, a 7-band graphic EQ and voice canceller for use in Karaoke situations. The Xenyx mic preamps loaded in the X1222USB are highly regarded and allow for a 'what you put in is what you get out' attitude with a massive 130 dB dyanmic range and a frequency response that spans 10 Hz - 200 Khz! British consoles made in the 60's and 70's were the envy of engineers and producers the world over and that same circuitry has been modelled in the Xenyx raneg of mixers to provide a musical EQ system with plenty of scope for tonal variation. Rather than resort to spending on external outboard equipment, the Behringer Xenyx X1222USB comes equipped with a simple (but incrediby effective) 'one-knob' compressor system that applies to the 4 mic preamps. No longer will vocals provide problems in level or signals appearing too weak, simply one-knob, nd one turn delivers studio quality results. No need for external units for effects. The Behringer X1222USB has a 24-bit multi-effects processor built in that gives you studio grade effects such as delays, reverbs, flanging and chorus all in the same unit. 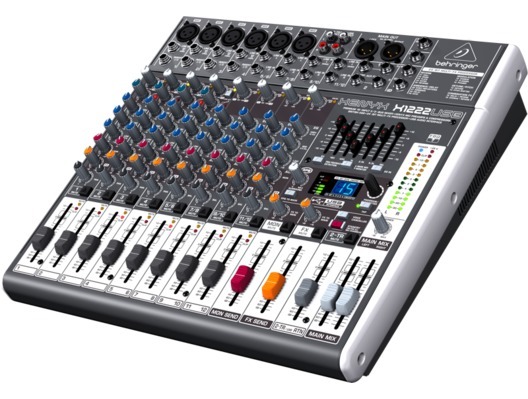 Simply connect this mixer into your computer or laptop and experience high quality recording via the built USB audio interface. Supplied with the Xenyx X1222USB is a bundle of Free Software to get you started too. 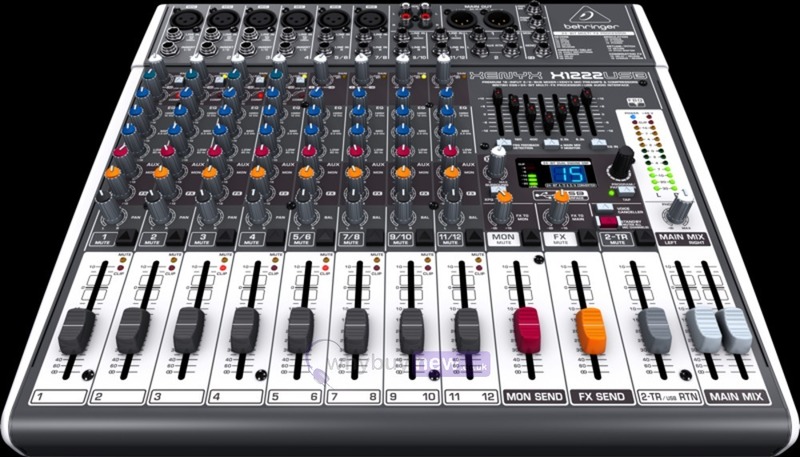 Here we have the Behringer Xenyx X1222 USB Mixer in B-Stock. The B-Stock versions would have been on display at a training evening or trade exhibition only and will come boxed 'as new' with all accessories and a 1-year warranty. 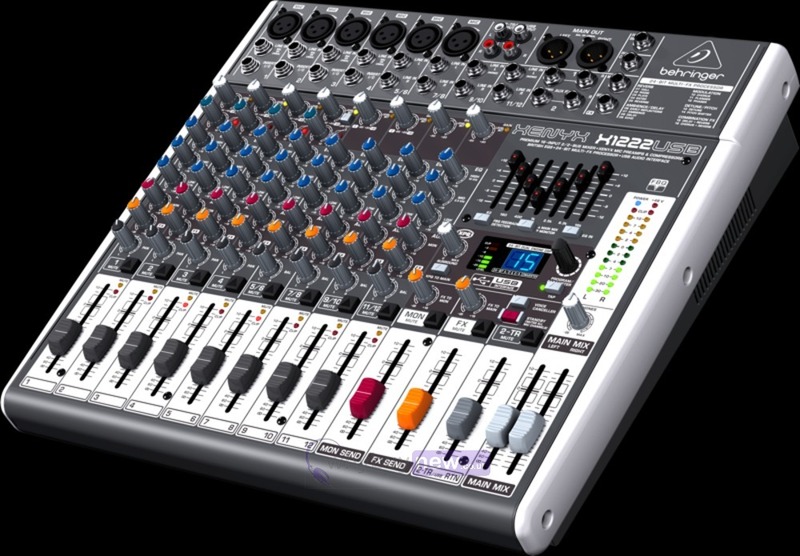 Buy this amazing Behringer Xenyx X1222 USB Mixer with confidence with 100% satisfaction guaranteed or your money back.